A few weeks ago I had the pleasure of finally designing for Natalie of 4 Corners Photography. 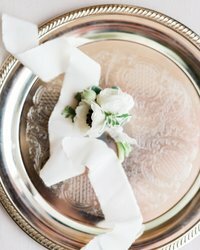 I’ve been swooning over her wedding and styled shoot photos for years now! I was so excited for the color palette–neutrals with pops of coral and tangerine. I spent the morning in my grandmother’s yard foraging for branches, herbs, and wild blueberry stems. They paired perfectly with the gorgeous blooms, and I ended up designing two bouquets that were each unique, but complimentary of each other. Designing for shoots is so much fun, because I get to design for myself and try different techniques and styles. 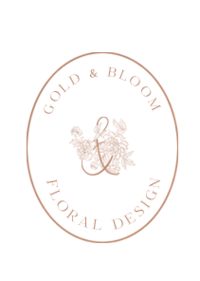 Taking risks and experimenting with design is why I love being a floral designer. There’s never a dull moment over here! 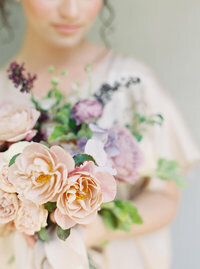 Flowers used: Ranunculus, garden roses, stock, anemones, lisianthus, snowberry, carnations, queen anne’s lace, peonies, foraged flowering branches, blueberry, and vines.